Preheat oven to 350 levels with rack in middle. 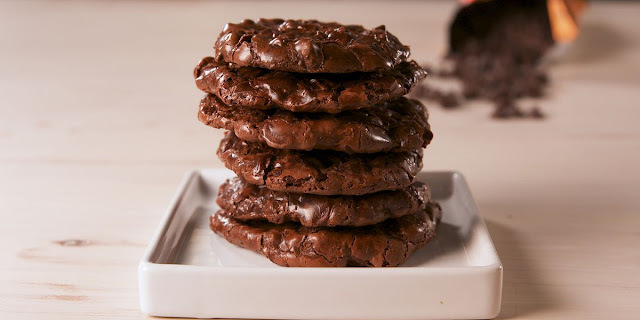 Prepare the batter: Place chocolate in a medium heatproof bowl, and set it over a medium saucepan of barely simmering water; stir chocolate until melted and clean. Remove bowl from heat, and set apart to cool barely. Meanwhile, whisk collectively flour, baking powder, baking soda, and salt in a medium bowl; set apart. In the bowl of an electric powered mixer geared up with the paddle attachment, cream butter and sugar on medium speed, scraping sides of bowl as wanted, till mild and fluffy. On low pace, blend in melted chocolate. Increase speed to medium, and add eggs, one by one, blending nicely after every addition. Add vanilla, and beat till combination is creamy and colour has lightened barely, about 1 minute. Mix in sour cream. On low velocity, add half of of reserved flour combination, beating till just incorporated. Mix in half cup water. Add last flour combination, and mix until simply integrated.
. Line a cupcake pan with paper liners. Fill every liner with sufficient batter to come 1/eight inch from top, about 1/three cup. Bake, rotating pans halfway through, till tops are firm and a cake tester inserted in the middle comes out clean, about 20 mins. Transfer cupcakes to a twine rack to cool in pan for 10 mins. Use a small knife to loosen any tops stuck to the pan. Carefully invert cupcakes onto the cord rack. Turn cupcakes proper facet up, and permit cool completely. Prepare the frosting: In a massive heatproof bowl, integrate sugar, 1/4 cup water, egg whites, and cream of tartar. Using a hand held electric mixer, beat on high speed until foamy, about 1 minute. Set bowl over a pan of slightly simmering water. Beat on high velocity until frosting forms stiff peaks, about 12 mins; frosting need to check in one hundred sixty tiers.On a candy thermometer. Remove from warmth; stir in vanilla and almond extracts, and beat for two mins more till frosting thickens. Transfer frosting to a massive pastry bag equipped with a half of-inch plain pastry tip. Leaving a 1/eight-inch border on each cupcake, pipe a spiral of frosting into a 2-inch-excessive cone form, using approximately half of cup of frosting per cupcake. 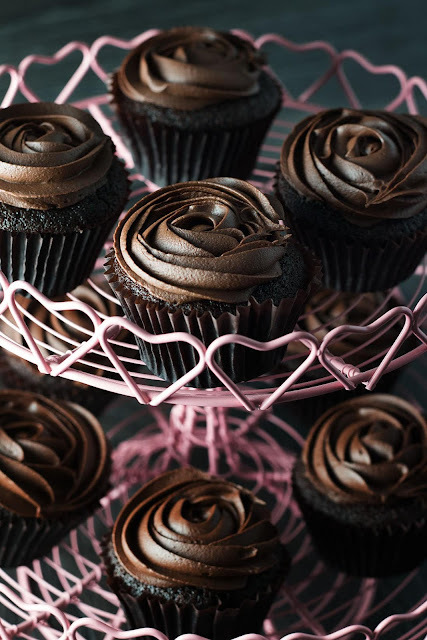 Transfer cupcakes to a baking sheet, and refrigerate at the same time as getting ready the chocolate coating. Prepare the chocolate coating: Combine chocolate and oil in a medium heat-proof bowl set over a medium saucepan of barely simmering water; stir till melted and clean. Transfer to a small bowl, and let cool about 15 minutes. 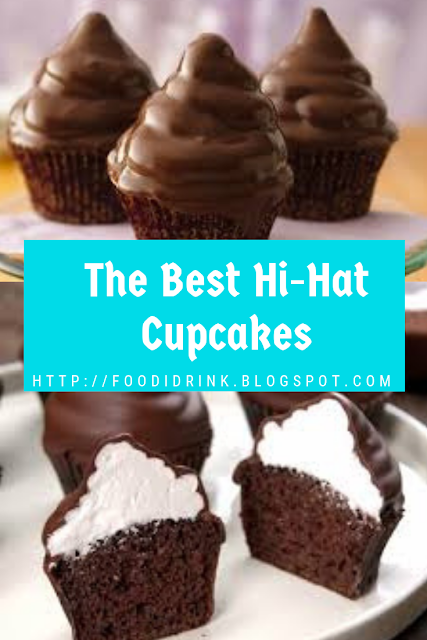 Holding each cupcake by its bottom, dip cupcake inside the chocolate to coat frosting, permitting excess to drip off. Transfer to a baking sheet geared up with a wire rack. Spoon greater coating around fringe of cupcake and any uncovered frosting; none of the frosting have to display. Let cupcakes stand at room temperature 15 mins. Carefully get rid of paper liners from cupcakes, and discard. Place cupcakes on a serving platter, and refrigerate for 30 minutes to allow coating set. Cover, and refrigerate for 2 hours extra. Serve bloodless. Cupcakes may be refrigerated for up to a few days.